Mary Jane’s family, Indonesian lawyer, spiritual adviser and embassy officials and DFA representatives took off again for the island prison to visit her supposedly from 10am-4pm. Before entering the port gate which cordoned the media, her brother and husband, followed later by her sister and mother, stepped out of the vehicle provided and commandeered by the Ph embassy. The two men then unfurled a banner in front of around a hundred local and international media and called for the salvation of Mary Jane . The two women in turn spoke to the media and appealed to Indonesian President Widodo. After stringent security measures and with the area teeming with security personnel, they were all eventually allowed to board the boat to the prison island. But their Philippine private legal counsel Edre U. Olalia from NUPL – who is officially endorsed by the Integrated Bar of the Philippines (IBP) – was not allowed to pass through the usual security protocol. He was told by a virtual spokesman of the Philippine embassy that he is not allowed to come and enter. The purported reason given was that there are stricter security measures today. Neither the Philippine ambassador nor the consul general or the DFA representatives took the chance to explain to Olalia why he was not being allowed to join the Veloso delegation even after he was duly recognized by the Indonesian authorities and even after having entered the prison island the past two days. 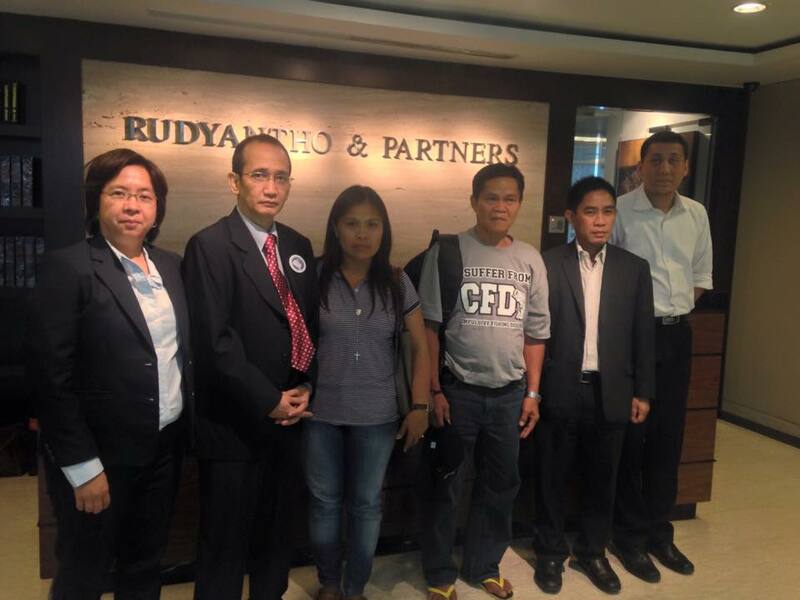 No embassy or DFA representative asserted Mr. Olalia’s legal standing to the Indonesian authorities. The good ambasadress actually tried to prevent Mary Jane’s father from being conferred with by Olalia before boarding the boat by pulling him away from the latter. But the father managed to let go of the ambasadress’ hold and was able to get instant legal advise from Olalia to be relayed to her daughter. Because he did not want to make a fuss at that time, thinking that these visits are first and foremost for the family, Olalia did not press the issue and let it slide for the moment. There will be a more appropriate time and venue for reckoning. For now, we all should fight tooth and nail to save the life of Mary Jane and bring her back home.